Residential Asset Manager chosen to manage REIG Renovation’s residential portfolio in Southern California. 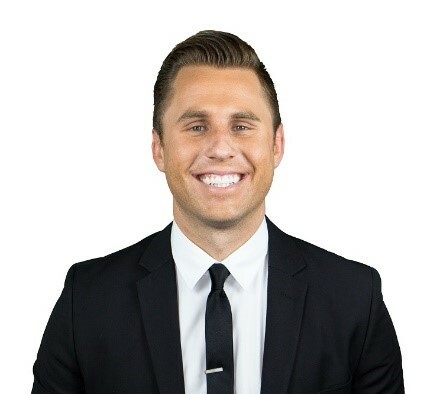 San Diego, CA – October 24, 2016 – REIG Companies, one of the fastest growing real estate investment companies in California, announces that San Diego native Michael Finn has been hired as the Residential Asset Manager. The role was created to foster the vertical integration of the company’s residential investment division, managing the life cycle of its properties from acquisition through disposition. As the Residential Asset Manager, Finn will oversee the company’s portfolio of residential investment opportunities. He will serve as the bedrock for identifying value-add opportunities with a keen focus on the operational processes which support each transaction. With Michael Finn’s debut, REIG Companies is better positioned to explore new markets and to further develop its portfolio in the single family space. Michael has over ten years of experience in the residential investment real estate market with a strong background in the analysis, acquisition, stabilization and disposition of residential properties. Previously, he worked for seven years at Meridian Pacific Capital as their Investment Sales Manager. As part of the senior management team, Michael was involved in developing and launching all channels of the Meridian real estate business. When asked what attracted him to REIG Companies, Finn commented, “The more that I give to other people, the happier I’ll be in my life…and I love being able to align that here at REIG.” The combination of Finn’s experience and his alignment to the company’s core values create the perfect recipe for growth and success. REIG is a multifaceted real estate firm in San Diego, CA. REIG Companies is comprised of three parts: 1) REIG Renovations, a single family investment company, 2) REIG Construction, a multifamily construction company, and 3) REIG Asset Management, a multifamily investment company. REIG was founded in 2011 and continues to grow its resources (human and capital) exponentially each year. REIG Companies is rooted in its core values and a purpose statement: to bring renewal and hope to the lives and communities we touch.